Building on findings from previous research on dimensions of Consumer Perceived Values (CPVs), an Integrated Consumer Perceived Value Model comprising utilitarian, hedonic, and social values is proposed to explain observed consumer decisions (viz. 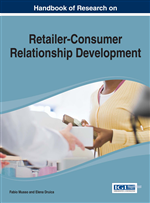 purchase or do not purchase), and to provide new frontiers for consumer behaviour research. The distinguishing if not innovative features of the proposed model are: (1) it provides a framework to investigate the competing, complementary, and compensating effects of the CPV dimensions; (2) it distinguishes the CPV dimensions that affect consumer decisions specifically and those that affect consumer decisions homogeneously; and (3) while some CPVs are generated and interact serially, other CPVs could be generated and interact in parallel. There could be various origins of the CPV concepts. The economic concept of experienced utility, the utility associated with pleasures of consumption or from total wealth, dated back to Daniel Bernoulli and Jeremy Bentham, could be one. Dewey’s theory of valuation (1939, 1966) could be another, as Davis and Dyer (2012) explain. “Under Dewey’s rubric, value flows from the fulfilment (solution) of human needs and wants. In a consumer application of this theory, the needs and wants of consumers, as they actually are and as they perceived them, motivate them to enter the marketplace for experiences and acquisitions that may result in fulfilment of those needs and wants – or what Dewey viewed as a solution seeking. When that fulfilment occurs, whether actual or perceived, the consumer then develops a value perception of the experience that is associated with the needs and wants that motivated the foray into the marketplace. That value perception feeds back into the consumer’s subsequent consumption experiences” (Davis & Dyer, 2012, p. 117). Thus, the concept of value has been playing a dominant role in explaining consumer behaviour. However, a precise definition of “value” is elusive; value conceptualizations also vary according to context. In the context of consumer behaviour, there are at least four common notions of the term “value” (Zeithaml, 1988). The simplest and common conceptualization simply equates value with price. The second and third value conceptualizations highlight the exchange process between buyers and sellers: the former represents the trade-off between costs and benefits; while the latter is more specific and sophisticated, and expresses value as a trade-off between perceived product quality and price. The fourth value conceptualization is all inclusive, equating value with an overall assessment of subjective worth of all factors that make up the complete shopping experience, not simply product acquisition. This is the value concept adopted for this chapter, and as many other researchers have done, we call this consumer perceived value (CPV). However, this concept of CPV is too vague and general to explain consumer decisions. Therefore, as introductory and background reference, we first and briefly (i) outline the history of consumer perceived value (CPV); and (ii) explain the concepts of utilitarian, hedonic and social values, the three general but inclusive dimensions of CPV. Then, we introduce the Integrated Consumer Perceived Value Model with an embedded definition of CPV for consumer decisions. Hedonic Value: A dimension of consumer perceived value associated with senses, pleasures, feelings, and emotions. Product: A generic term that include tangible items (e.g. a watch) and intangible services (e.g. medical care). Heteroarchy: A network of elements in which each element has the same “horizontal” position and authority, and has a theoretically equal role. It is an antonym to hierarchy. Social Value: A dimension of consumer perceived value associated with social interactions (particularly with those with common culture and language), social status and self esteem. Utilitarian Value: A dimension of consumer perceived value associated with the necessities of living. Integrated Consumer Perceived Value (ICPV): An all inclusive, abstract, aggregate value measure that a consumer perceived on a product and the marketing environment in which the product is sold. Integrated in the sense that the ICPV integrates or aggregates the utilitarian, hedonic and social values associated with the product and the marketing environment. The consumer will purchase the product if the ICPV (i) is positive; and (ii) equals or is greater than the perceived value of the price of the product. Consumer Decision: Decision by a consumer to purchase a product - tangible items (e.g. a fridge) or services (e.g. transportation).